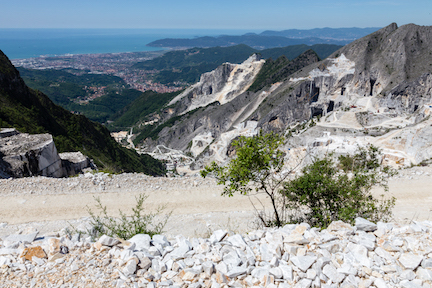 Touring the Carrara Marble Mines in Italy is a sensational, out of the ordinary travel adventure. I highly recommend the tour and wrote an article about it for My Itchy Travel Feet, a travel blog for Boomers. View from the top of the Carrara Marble Mines. For four nights every December, the gastronomical capital of France is transformed into a breathtaking landscape of light and sound. 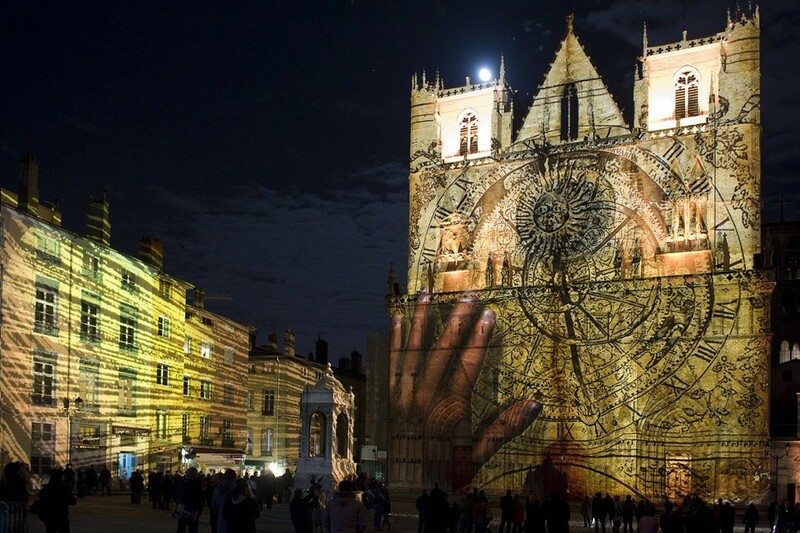 Lyon may not be Paris, the City of Light, but it is definitely a city of illumination. Every night of the year, 325 historical and cultural sites and monuments glow in radiant splendor. 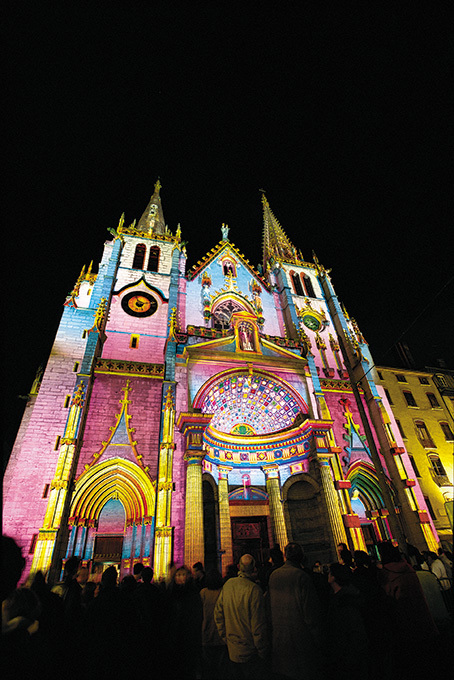 And come December, the city beams forth with imaginative extravagance during the four-day Fête des Lumières. 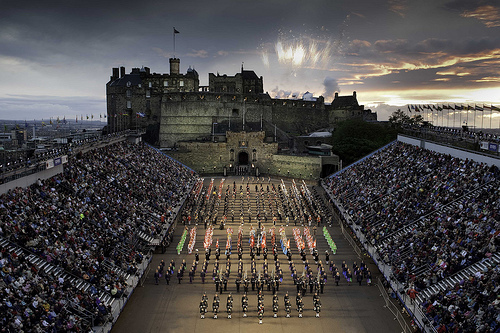 This year’s festivities start today and run through 12 December and are expected to attract 4 million visitors. Videos of previous years’ extravaganzas (see YouTube video below) reveal why: The illuminated cityscape and scenes that surround you are in turn whimsical, fantastical, awe-inspiring, thought-provoking, sometimes a little odd and always beautiful. Walt Disney meets Salvador Dalí… and very little is what it seems. 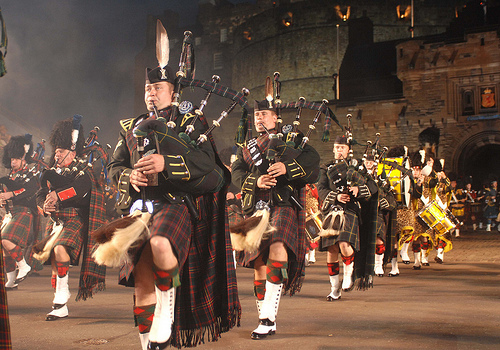 The Festival of Lights dates to 1643 when the city was spared from the Plague. Believing the Virgin Mary was responsible, the residents wished to honor her by constructing a new bell tower topped with her statue. As with many municipal projects, plans were delayed–this one, for almost 200 years. Finally, on 8 December 1852, the statue was ready for dedication. A gala was to include fireworks and flares, until a major storm arrived and church elders canceled the celebration. Come nightfall, the skies cleared, and grateful citizens spontaneously set out candles in their windows… and thus the festivities began. 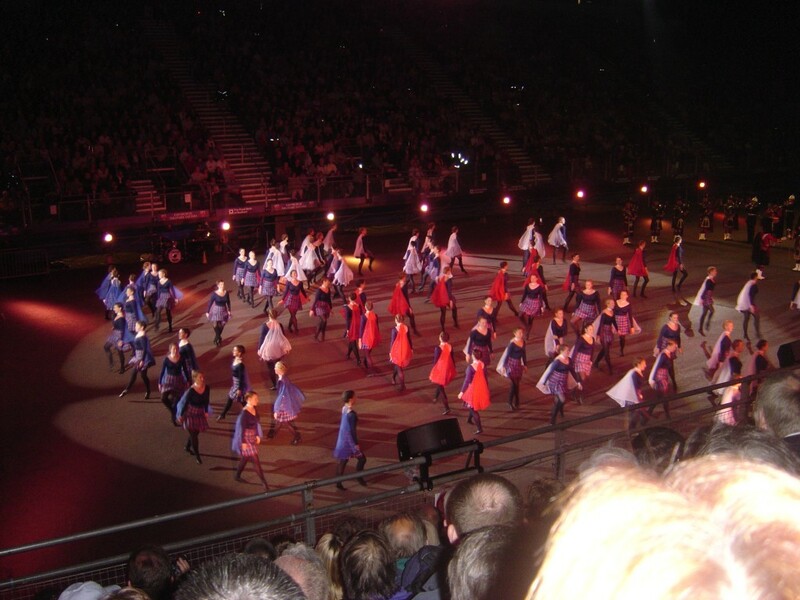 The people of Lyon still maintain the candlelight tradition, while the new extraordinary lighting techniques have raised the event to a world-class phenomenon. The combination of audio, video, and lighting effects transforms buildings, tourist sites, and historical monuments into a truly surreal environment. More than 60 “lighting scenes” created by lasers crisscrossing courtyards, snow-falling lights, and soundtracks pulsating in time to the city’s church bells convert ordinary street corners into interactive works of art. 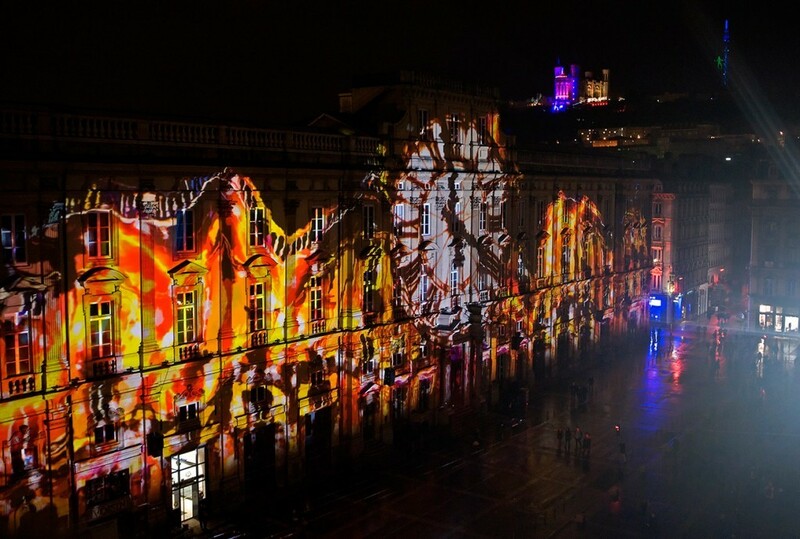 Lyon’s Festival also draws artists, city officials, and lighting experts who collaborate during a congruent conference on urban lighting architecture. More than 20 years ago, Lyon’s city planners launched a Light Plan to illuminate artistically and aesthetically more than 200 buildings and public places, including l’Hôtel de Ville (the town hall), Hôtel Dieu (the hospital), universities, bridges, and parks. The project reinvented the city’s image, making it a leader in civic light installations and a year-round tourist attraction. The Tourism Bureau notes that the festival uses LED technology to enable low energy consumption. The electric bill for all the 2009 installations in the city center was less than €3,300–or about $4,400 at the current exchange rate. As delighted (pun intended) as I would have been to behold this holiday celebration in person this year, I write this from my home in Florida. Still, I’ve been visiting the France Guide quite a bit lately, planning a future adventure abroad. Lyons’ hotels are full this week, and the city’s 1,500 restaurants and 18 Michelin-starred chefs are busy serving their gastronomic specialties to crowds. Those fortunate enough to be attending are soaking up the holiday lights with a side of Lyonnaise sauce. Très magnifique. This article first appeared in Automotive Traveler Magazine. 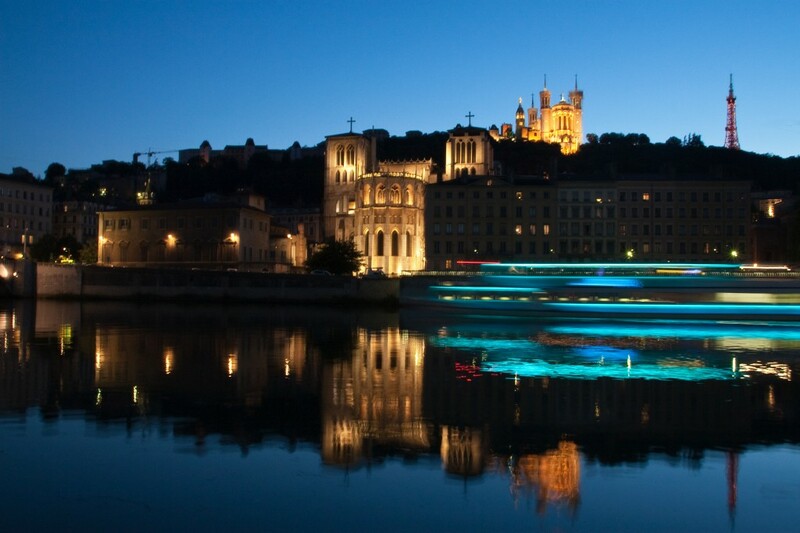 My photo taken of Luminous Lyon on a summer evening.